Well, what a fantastic summer that was! We were truly blessed by the beautiful sunshine that brought tourists over to the Betws Y Coed and Snowdonia areas to enjoy some of the best scenery that North Wales has to offer. The Glan Aber Hotel enjoyed an eventful summer and it looks to continue through the autumn and winter seasons too. 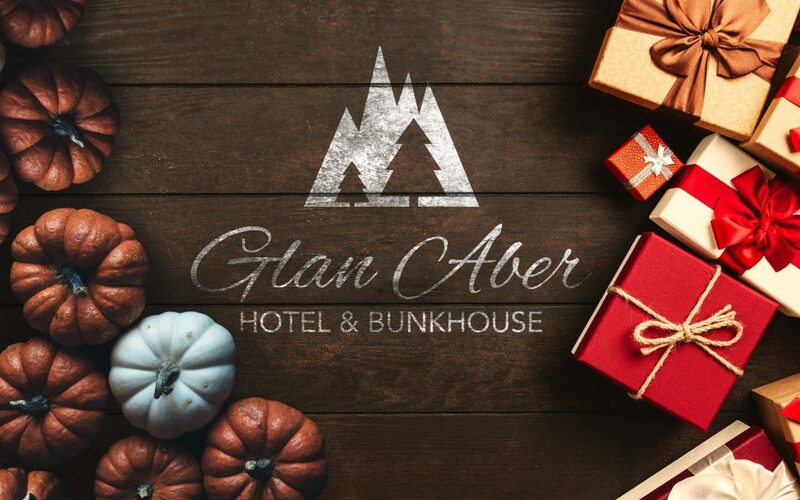 So, let’s take a look at everything that’s coming up at The Glan Aber Hotel this autumn and winter! Tuesday 9th October – Pub Quiz starting at 7:30 pm, £1 per person. Saturday 13th October – Retroactive, DJ set starting at 8:30 pm. Saturday 27th October – Family Pumpkin Carving starting at 11 am. Saturday 27th October – Open Mic Night with Tom Taylor starting at 8 pm. Saturday 3th November – Cam Gwag, a fantastic Welsh live band starting at 8 pm. Tuesday 13th November – Pub Quiz starting at 7:30 pm, £1 per person. Thursday 15thth November – Wine Tasting, starting at 7:00 pm, £15 per person. Saturday 15th December – Children’s Christmas bauble decorating, starting at 12 pm, £5 per child. Friday 21st– Sunday 23rd December – COme down and enjoy the Glan Aber’s Christmas Menu, as well as a few specials. Saturday 22nd December – DJ RetroActive returns to entertain you from 8.30pm. Monday 31st December – Glan Aber New Years Eve Party from 9pm! (£2.50 entry, includes Prosecco at midnight and a light buffet (free entry to residents and diners). Our Christmas Party Menu is officially available to view on our website to get your December planning into gear. If you fancy making a night of it this year, you will be pleased to hear that our Christmas Party Packages Menu is also available to view on our website. Choose a package that suits your Christmas Party plans best and get in touch! Guests will be over the moon to learn that The Glan Aber Hotel restaurant has added a full cooked breakfast to its menu! Those staying with us in one of our comfortable rooms in preparation for an adventure up Snowdon can rest easy, knowing that they can look forward to fuelling themselves with a delicious cooked breakfast. We have finally finished the renovations in our sauna and jacuzzi room, which is now officially open to guests for the ultimate relaxation experience. From just £5 per person, you can use the room freely to truly escape and relax! Keep your eyes out for details on our winter deals, New Year’s Party, and relaxation packages! Contact the Glan Aber team today to discuss what’s going on this autumn and winter!